Trump’s tweet on cancelling Boeing’s contract to build the new Air Force One led to a slight dip in the corporation’s shares. This was followed by a discussion on topics from what instigated Trump to the consequences of cancelling the deal. Trump says the cost is too high even as it becomes harder to maintain the current aircraft and a replacement is long overdue. 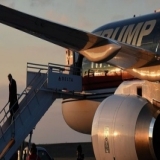 What did Trump say on Boeing’s Air Force One contract? 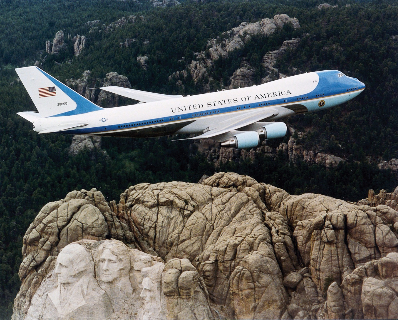 The US Air Force has an order with Boeing Co to build a new Air Force One aircraft – the 747-8 – to transport future presidents. He then made an unexpected appearance at Trump Tower where he reinforced his opinion. “The plane is totally out of control. I think it's ridiculous. I think Boeing is doing a little bit of a number. We want Boeing to make a lot of money but not that much money," he told reporters. 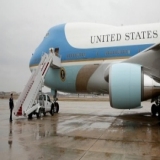 Boeing responded saying it had a contract worth $170 million to study the equipment necessary for the new Air Force One. According to sources Boeing Chief Executive Dennis Muilenburg called Trump after his remark and had a ‘productive conversation’ with him. He told the President-elect that the US Air force could alter its requirements and lower the cost. 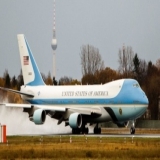 Note: The Air Force One can be broadly used to refer to the call sign attached to any aircraft that flies the US President but as of now it is usually taken to mean the two customized Boeing 747-200B jets. The same planes are called Air Force Two when the Vice President is a passenger. The aircraft that transports the President is not always called the Air Force One, specifically when the Air Force does not operate it. Marine One is the term used to refer to helicopters operated by the Navy in carrying the President and when the Army, before 1976, was involved in helicopter transport of the President, the aircraft, on rare occasions, was designated as Army One. Why has his statement triggered a debate? Trump is known for following up on his promise to “shake up businesses in Washington” with tweets that have disturbed companies and foreign countries. 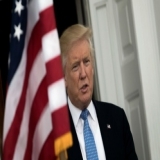 His remarks were made after Chicago Tribune published a column in which Boeing chief executive Dennis Muilenburg suggested that Trump and Congress switch from portraying an anti-trade image to focusing on putting across a stronger US agenda while participating in inter-country trade negotiations. "If we do not lead when it comes to writing these rules, our competitors will write them for us," he said. Muilenburg’s stand is that international trade is a must for the US economy and the role it plays is apparent in “the large and growing percentage of Boeing’s business” due to sales abroad. An international trade conflict would for Boeing bring in the highly undesirable possibilities of higher tariff prices, disruption of familiar though imperfect global contracts, and increase in competition from local aircraft manufacturers. The cost estimate. The financial deal between the US Department of Defence and Boeing has not been summed up properly by Trump, according to White House spokesman Josh Earnest. The Government Accountability office puts the final cost at $3.2 billion. The plane is however in the early design stage and expected to be ready only by 2024 and a cost is yet to be fixed. While Trump may not have exaggerated about the final cost, his administration is free to modify or discard the changes in the Air Force proposal as it sees fit as the project has just begun and is in too early a stage to experience cost overruns. Democrat Senators Patty Murray and Maria Cantwell and Representative Rick Larsen said the replacement would provide well-paid jobs in northwest Washington and are necessary to ensure the safety and security of future Presidents. But some also pointed out that Trump was the first President in a long time to take on a corporation directly and this along with other of Trump’s actions reinforces the belief of several Americans that he will usher in the change that is long overdue. 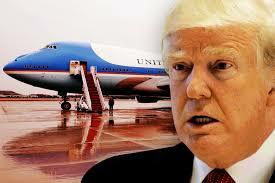 When did Air Force One come into existence? 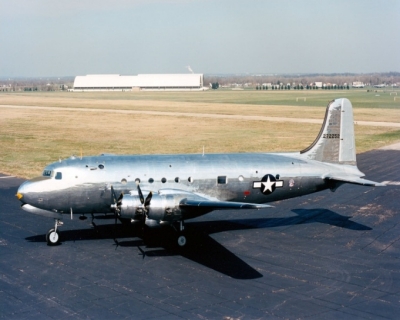 The idea of a military aircraft with superior capabilities for the President’s use was conceived in 1943 due to officers of the United States Army Air Forces (which later became the U.S. Air Force) feeling that the security standards of commercial airlines were not up to the mark for the purpose. 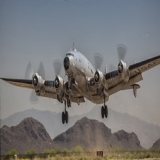 The first aircraft practically used for the purpose was the C-54 Skymaster which carried President Franklin D. Roosevelt to the Yalta Conference in 1945. The aircraft was equipped with a radio telephone, sleeping area and a special-purpose lift. Eisenhower had taken a round-trip flight on May 18, 1954 to Charlotte, N.C. on a Columbine II aircraft. At 19,000 feet over Richmond, Va., pilot William Draper checked in with the air route traffic control center as Air Force 8610, using the call sign on the plane’s tail number. When the center responded, it was asked by another pilot of the Eastern Air Lines – which also had the number 8610 in its call sign – if it was he the center had tried to contact. 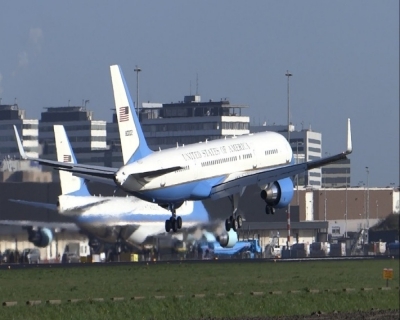 According to co-pilot Bill Thomas (who was interviewed in 2012 by Air Force historian Robert Spiers), a Secret Service agent made note of the confusion and thought a unique call sign must be reserved for the President’s plane. On Draper’s suggestion, the call sign Air Force One became reserved for the aircraft when the President was using it. Eisenhower’s propeller-driven planes were replaced by jets. The first was a Boeing 707 introduced in 1959. Two more such aircrafts joined the fleet (SAM (Special Air Missions) 970, SAM 971 and SAM 972). In December 1959, a Boeing 707-120 with modified took Eisenhower on an 11-nation tour. The aircraft flew at a speed twice that of its predecessor. The Boeing 747 to cater to the President’s needs began to be manufactured under Reagan. The first two aircraft were ready by 1990, during George H.W. Bush’s presidency. Customization of the aircraft to protect it from electromagnetic pulse effects had delayed their arrival. The VC-25s have secure telephone and computer communication systems to enable the President to conduct duties on board. In addition, the aircraft has an office for the president, a conference room, and private quarters for the president and the first lady. Where are the pros and cons of the Boeing deal? It’s high time for a change. The current VC-25A Air Force Ones are a pair of highly-customized Boeing 747-200B jetliners – the only ones that remain in use. Their maintenance cost is high. "Parts obsolescence, diminishing manufacturing sources, and increased down times for maintenance are existing challenges that will increase until a new aircraft is fielded,” Secretary of the Air Force Deborah Lee James said. They have been around for over quarter of a century. Despite routine inspections, the military has admitted constraints such as "increased down times for maintenance" that will worsen with time. It has not happened sooner. The estimated lifespan of the current aircraft was 30 years. But for now, the military expects at least one of the two jets to continue in service till 2025. 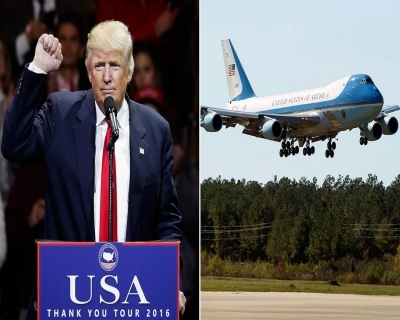 And the new Air Force one risks meeting the fate of the current jets as soon as it becomes functional – Boeing plans to cease manufacture of the 747 series altogether. The 747-8 can remain in air for a longer time, has a higher top airspeed than the VC-25 and also a greater take-off weight. It is also less harmful to the environment. But it needs extensive modification to become an Air Force One. The VC-25s can refuel in the air, possess a full communications suite and are self-sufficient at airports (with their own air stairs and baggage handling equipment). There was just one other competitor, the Airbus 380 which France manufactures. The Boeing was chosen as it would be manufactured in the US. Who is Trump targeting and pleasing through his Tweets? His tweets suggest a lack of diplomatic tact or enhance his “say it like it is” persona depending on which side you are on. His supporters wanted a President who would shatter status quo. As far as tweets are concerned, Trump reinforces their faith he will do so. “Masa (SoftBank) of Japan has agreed to invest $50 billion in the U.S. toward businesses and 50,000 new jobs....” Trump tweeted. 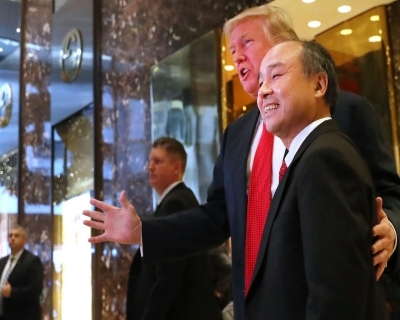 For Masayoshi Son, the Japanese billionaire, the return gift may be a merger between wireless company Sprint, the fourth most popular wireless service provider in US and T-Mobile, the third – an attempt the Obama administration had blocked. While Trump’s policies and relationships can be viewed as a new, fresh approach that might pay off but so far he has tended to designate as targets, those who seem to miff him in one way or another. His decision to target Boeing rather than focus on a revelation by Washington Post that the Pentagon concealed a report that found $125 billion in waste reflects this tendency. The Week had done an article on how Trump’s tweets were being measured by journalists. The New York Times reportedly says that while the best way seems ignoring Trump’s off-the-cuff tweets and concentrate on serious journalism, several expert journalists argue that “keeping the public in the dark about their president's comments would be a worse sin”. Trump had made another unverified claim that Hillary’s popular count lead was due to millions of illegal votes at a time the media had been focusing on his troubled transition. Dahlia Lithwick on Slate points out that Trump’s aim is to foster an alternative reality which leads people to doubt their own realities. “Refusing to dismiss or ignore Trump's tweets - however spurious, inaccurate or improbable - is shaping up to be the ‘the work of the coming years’ for the nation's journalists”, she added. As Washington Post’s Paul Waldman pointed out, this is no easy task. Trying to point out the falsities in Trump only convinces his followers that their leader is a “victim” of mainstream media bias. "The question isn't whether the news media will be able to cut through to the truth – that's the easy part," Waldman writes. "It's whether anyone will listen when they do." How has Boeing established its expertise? It is among the largest aircraft manufacturers worldwide and the second most favored defense contractor based on 2013 revenue. It ranked 90th on Fortune Global 500 and 27th on the "World's Most Admired Companies" list in 2015. Boeing, Airbus and United Technologies Corporation earn half the amount of the world’s top 10 aerospace companies. 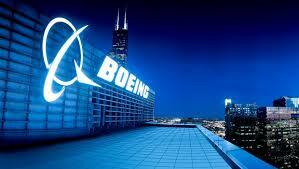 Boeing is a leader in commercial jetliners and defence, space and security systems. It has proved its mettle in design, development and manufacture of integrated military platforms and defence systems, and advanced technology solutions. It has the most experience in building bomber combat aircraft and played a key role in the development of the three heavy bombers the US fleet currently uses. It is a global leader in space with two dozen commercial and military clients for its 702 line of geosynchronous communications satellites and following a decade of setbacks is expanding its satellite products. It also manufactured and maintains US Army helicopters – the AH-64 Apache attack helicopter and CH-47 Chinook cargo helicopter. Overseas potential clients for the Apache include India, Saudi Arabia and South Korea. In China – which buys one-fourth of Boeing’s commercial aircraft – Boeing faces tough competition from Airbus. It is anxious about Trump destabilizing US’s relationship with China as that might mean a gain for Airbus and reduction in jobs for Boeing.